Italian students came to ZSB Mielec to compare the job opportunities in Poland and Italy in Bilateral exchange “Happy Workers Work Better” in “The Bridge” Erasmus+ project between 19-26.04.2017. They took part in a lecture at the Youth Career Center, visited Aviation Factory, Open Air Museum. They made logos of various materials with different techniques. 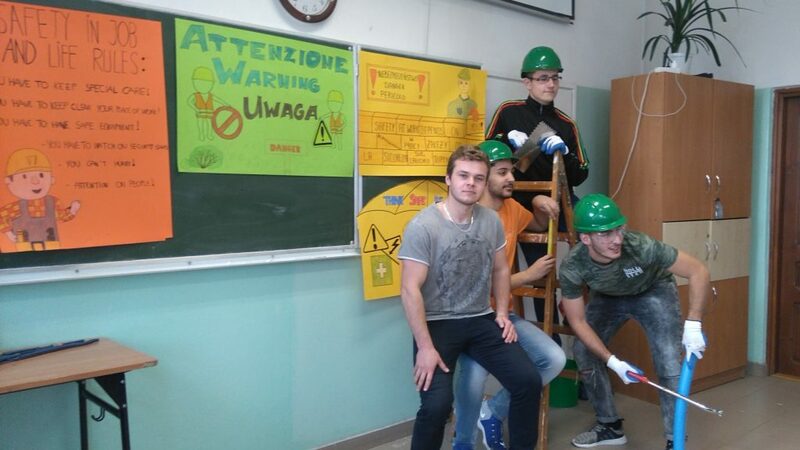 Based upon safety rules in work they learned about students produced posters and short drama scenes on the topic.